Don’t expect any seasonal cheer from Black Rebel Motorcycle Club. For almost a decade, the Los Angeles-based three-piece’s dark brand of bluesy garage rock has been burning a trail across the music scene. The demons that fuel the band’s successes are the same ones that have, in the past, caused them to skid off the road and almost implode. 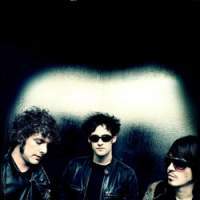 For a while, when they were dropped from their label Virgin and drummer Nick Jago quit in order to confront his drug and alcohol addictions (both in 2004), the BRMC engine flatlined. A record deal with another major, RCA, breathed life back into the battered machine. Now, with the release of “Baby 81,” their second album on the label (and fourth of their career), and re-energized by the return of Jago, the band has returned to its previously rockin’ form. Speaking in a careful drawl last week by phone on tour in Dublin, Robert Levon Been (who co-fronts and writes the songs with Peter Hayes) explains that he holds little interest for life’s happier moments. “That’s a love song, that’s about the good times!” he says, laughing darkly. Although the lyrics may be somber in tone, a couple of tracks on the album — “Berlin” and “It’s Not What You Wanted” reveal a pop sensibility. “I like pop music — if it’s still got something to say. I don’t mind if it gets your attention fast. Some people need to be led by the hand and need to know if it’s an indie sound or a pop sound. But at the end of the day, it’s just a song,” he says. So for Been, is the songwriting process cathartic? 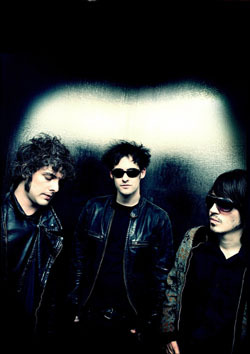 Black Rebel Motorcycle Club play Osaka Soma on Jan. 9 (tel. 6233-8888); Harajuku Astro Hall, Jan. 10; Duo Music Exchange, Tokyo, Jan. 11 (Tokyo shows sold-out). Shows start at 7 p.m. Tickets are ¥6,000.